Cthulhu: Strange Aeons – One Small Step for Man. One Giant Leap… into Madness! 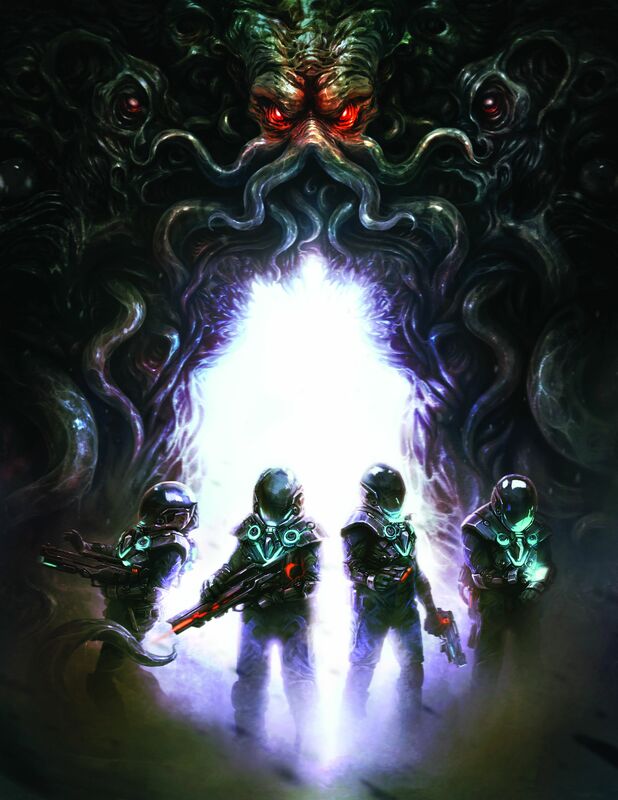 From the award winning publishers, Paradigm Concepts, comes a chilling game of mankind’s tentative steps into the far reaches of space and the cosmic horrors that awaits. Using by the Basic Role Playing system, officially licensed from Chaosium, Cthulhu: Strange Aeons blends Lovecraftian horror with hard science fiction, allowing investigators to explore lost colonies, discover maddening alien temples, study bizarre artifacts, battle blasphemous xenos and unlock the greatest mysteries of the Cthulhu Mythos. The adventure begins at Gen Con 2014 with an exclusive tournament written by Delta Green author and creator, A. Scott Glancy. This one-round scenario, The Elder God Particle, deals with a pivotal moment in the Cthulhu: Strange Aeons history, the devastating Storm of 2104. The winning table will receive a free copy of the upcoming Core Book as well as naming those characters in canon.